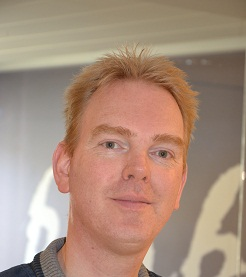 At our Annual General Meeting in May, Remco van Veenendaal from the National Archives of the Netherlands was elected to join the OPF’s board of directors. I caught up with Remco to find out more about his digital preservation work. As digital preservation officer of the National Archives of the Netherlands (www.nationaalarchief.nl), I am responsible for the development, implementation and updates of our digital preservation policy and practice. Sharing knowledge with the national and international digital preservation community is part of the job, as is coordinating our record keeping and preservation team of 7. I also participate in projects of the Dutch Digital Heritage Network (www.netwerkdigitaalerfgoed.nl/en/), and lead their persistent identifier project. How did you get here? What was your path into digital preservation? Before I joined the National Archives of the Netherlands, I led a project of the Dutch Language Union. We collected, managed and made digital Dutch language resources available for re-use. We didn’t call it digital preservation, but that was what we were doing. From digital preservation of the nation’s language to digital preservation of the nation’s cultural heritage conceptually wasn’t that giant a leap, but I still learn something new every day. My interest in language resources stems from my study Alfa-Informatica (Alpha-Informatics, the combination of language and computers) at the University of Groningen. I graduated in artificial intelligence and natural language processing. We introduced a Preservation Watch scheme based on the PLANETS Functional Model and are fine-tuning it this year. This Preservation Watch is one of the building blocks for our repository’s (e-depot) quality management. Other building blocks are the application for a Core Trust Seal certificate and our work on the implementation of a Digital Preservation Capability Maturity Model. I am also involved in digital preservation education initiatives. One example is that in September, another edition of the blended learning course Leren Preserveren (Learning Preservation www.lerenpreserveren.nl) will start. Together with the other two coaches, we have evaluated the spring edition, and are preparing for September. I worked as a lecturer/technologist in Birmingham, U.K., for two years, obtained my post-graduate certificate in education and still benefit from what I learned there. What do you see as the main benefit of OPF membership? A saying in (language and speech technology) research is that “there’s no data like more data”. I’d like to paraphrase that: “there’s no tools like better tools”. What I’ve also learned is that, yes, we do need tools, but we also need people and (inter)national cooperation. The OPF brings together this unique combination of digital preservation tools, people and cooperation. I’d like to help influence the EC to put digital preservation back on the agenda, with OPF as a recognised centre of competence (and preferred project partner) for digital preservation. Who are you / what do you like to do in your free time? Language and speech technology is one of my hobbies (see www.veenentaal.nl). Another hobby is playing games: board games like The Settlers of Catan, computer games like the Witcher 3 (on my home-built gaming PC) or retro games on older home computers (emulated on my kids’ Wii). Recently, I took an interest in not just playing games, but also creating them. The digital preservation board game Preservia – which I blogged about on the OPF website – is one example. I also created a board game about korfball, another one of my hobbies. I have played this unique mixed team sport for many years, and am trainer/coach of one of the teams of the local korfball club where my son plays.